Breast cancer remains a leading cause of mortality among women. In metastasis, cascade migration of cancer cells and invasion of extracellular matrix (ECM) represent critical steps. Urokinase-type plasminogen activator (uPA), as well as metalloproteinases MMP-2 and MMP-9, strongly contribute to ECM remodelling, thus becoming associated with tumour migration and invasion. In addition, the high expression of cytoskeletal (CSK) proteins, as fascin, has been correlated with clinically aggressive metastatic tumours, and CSK proteins are thought to affect the migration of cancer cells. 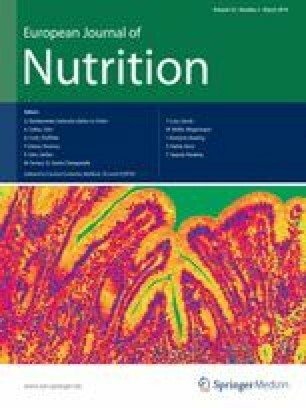 Consumption of fruits and vegetables, characterized by high procyanidin content, has been associated to a reduced mortality for breast cancer. Therefore, we investigated the biological effect of grape seed extract (GSE) on the highly metastatic MDA-MB231 breast cancer cell line, focusing on studying GSE ability in inhibiting two main metastatic processes, i.e., cell migration and invasion. After MDA-MB231 breast cancer cells stimulated with GSE migration and invasion were evaluated by means of trans-well assays and uPA as well as MMPs activity was detected by gelatin zymography. Fascin, β-catenin and nuclear factor-κB (NF-κB) expression were determined using western blot technique. β-Catenin localization was observed by confocal microscopy. We observed that high concentrations of GSE inhibited cell proliferation and apoptosis. Conversely, low GSE concentration decreased cell migration and invasion, likely by hampering β-catenin expression and localization, fascin and NF-κB expression, as well as by decreasing the activity of uPA, MMP-2 and MMP-9. These results make GSE a powerful candidate for developing preventive agents against cancer metastasis. Dinicola Simona and Pasqualato Alessia contributed equally to this work. We are grateful to Dr. D. Antonacci for providing the grape seed extract, and to professors G. Pasqua and A. Laganà for chemical characterization of the extract. On behalf of all authors, the corresponding author (Mariano Bizzari) states that there is no conflict of interests.